There may come a time in your life when you are no longer able to manage your own affairs or make decisions about your own health care, whether through illness, age, or catastrophe. The state of Washington allows you to plan for these events by granting durable powers of attorney—one for financial management and one for health care. Here’s what you should know about the importance of having financial and medical powers of attorney as a part of your comprehensive estate plan. Should you fall seriously ill, be involved in an accident that leaves you incapacitated, or find yourself incapable of handling your own financial decisions, you may need help managing your affairs. A durable financial power of attorney allows you to name a trusted person or agent to pay your bills, files your taxes, and make deposits to your bank accounts when you’re unable to. Your agent also can manage your investments, receive benefits or insurance payments on your behalf, and deal with any other money matters that may arise. 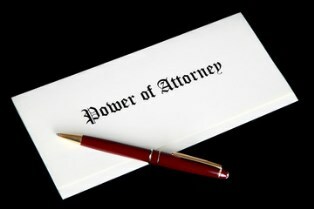 A power of attorney is a position of trust, and you may revoke it at any time, as long as you are legally of sound mind. The person you choose to be your agent must manage your affairs in a way that benefits your best interests, not his own. Your agent also cannot alter your will or vote for you in an election. Without a durable financial power of attorney, your affairs may remain in legal limbo until someone is appointed by the court. Bills can go unpaid, debts accrue, benefits payments can get missed or delayed, and your family will likely need to petition the court for access to your finances—all of which takes time, costs money, and creates a legal headache for everybody involved. A durable health care power of attorney is a document that you may use to designate someone you trust to make decisions for you regarding your health and well-being when you are unable to do so yourself. The agent you choose will be able to refuse, stop, or grant consent for a medical treatment or procedure on your behalf, which is why it’s very important to choose someone trustworthy who knows what you would prefer. A durable health care power of attorney can also work hand-in-hand with an advance directive or living will. A living will allows you to dictate your preferences for your health care in advance on paper, making it clear what your wishes are about certain procedures and what measures should be taken to prolong your life when you’re severely incapacitated. Having a durable health care power of attorney along with a living will ensures that when a medical situation arises that isn’t accounted for in your living will, your agent will have some written guidance to make an appropriate decision based on what he believes you would want the most. A durable financial power of attorney, a durable health care power of attorney, and a living will are all part of a complete estate plan. These documents can help protect your interests and ensure that your wishes are carried out if you’re incapable of making decisions for yourself. If you have questions about your powers of attorney or any other aspect of your estate plan, the Law Offices of Molly B. Kenny is here to provide the answers you need. Reach out to us by telephone, or use the contact form to send an email and arrange a private consultation in our Bellevue office today. Do I need a lawyer to help me create a living will?